Our nutritional supplement products are made from the finest ingredients, grown or collected from the best natural sources and produced with the most advanced technology. 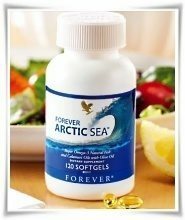 Each product retains its original nutritional value, encouraging both good health and peace of mind. Many high quality, 100% natural, nutrition products to choose from. No wonder that many Naturopathic Doctors have selected Forever Living products within their portfolio and suggesting to their patients. You may consider the same. A natural solution for supporting healthy muscles and joints! The ability to move is often something we take for granted. Move freely and support joint comfort and flexibility with Forever’s latest and most clinically advanced joint and muscle supplement, Forever Move™. Forever Move™ features a proprietary blend of two powerful ingredients not combined anywhere else in the world! We further increased the benefits in this breakthrough formula by adding curcumin from turmeric - and not just in any form - but a version that uses a proprietary, patented emulsification technology, BioCurc®. This technology increases curcumin’s bioavailability by 200%--allowing your body to absorb and utilize it more fully. This natural herbs has been trusted for thousands of years to support joint health and provide antioxidant benefits. Essential nutrients that our body needs are the fatty acids. These nutrients serve several functions, including the make-up of the majority of the protective membrane that surrounds every one of our cells. Omega-3 fatty acids have been shown to help support circulatory function, Omega-3 and Omega-9 fatty acids can help support healthy cholesterol and triglyceride levels, Helps support proper joint function. Forever CardioHealth™ with CoQ10 is a special formula designed to mix with our Aloe Vera Gel to provide three important nutritional supports for cardiovascular health. It supports healthy homocysteine levels, supplies co-enzyme Q10to promote efficient metabolism, and provides heart-healthy antioxidants. Simply pour, stir and drink – it’s that easy – and your heart will thank you! Contains soy. 30 individually foil wrapped packets. Probiotics are good bacteria that our body needs and often missing for several reasons. Probiotics in general are quite fragile, Forever Active Probiotic uses an exclusive, patented encapsulation technology that protects the probiotics then releases a unique combination of six beneficial strains of microbes only after they reach the desired destination of the large intestine. Forever Active Probiotic works primarily in the colon where it assists with the process of food digestion, helping to release nutrients for absorption, and contributes positively to normal human growth and development by helping to maintain a balanced and healthy system. Forever Pro 6® is a blend of six vitamins, minerals and herbs for male prostate health. The prostate is a walnut-sized gland located just under the bladder. Many men over the age of 40 have been shown to benefit from nutritional support for the prostate. Saw Palmetto and Pygeum Extract contain plant substances that are helpful for prostate support. Vitamin E, Selenium and Lycopene can help to maintain proper prostate function by counteracting the damaging effects of free radicals in the cell tissues. Beta Sitosterol, in addition to enhancing prostate health, is believed to help support healthy cholesterol levels as well. By tapping into the power of these beneficial ingredients and concentrating them into an easy-to-take tablet supplement, Forever Living Products has created the best supplement for men’s prostate health on the market today! Selenium is a trace mineral and is one of the most powerful antioxidant nutrients known to work synergistic with both vitamin E and beta-carotene. It is beneficial in maintaining healthy skin, hair and good eyesight. Recent research shows that Selenium is especially important to men’s health. Echinacea has a rich tradition in the culture of the North American Plains Indians, who used it more than any other plant to help maintain their health during the winter time. They also applied root poultices, used Echinacea mouthwash, and drank the tea. It was prominent in America until the 1940s. The Europeans, who discovered it in the 1930s, still use it extensively. YOU should, too. Feed your creativity with Ginkgo Biloba, the legendary “brain tonic” dating back five millennium. Forever Ginkgo Plus is a unique blend of four Chinese plants. Ginkgo Biloba leaf extract, its chief ingredient, is combined with the powerful Chinese herbs of Ganoderma from Reishi mushrooms, Schisandra berries and cured Fo-ti. The ginkgo tree is said to be the oldest surviving tree species. Garlic and thyme together - the name says it all. These two powerful antioxidants found in Forever Garlic-Thyme, combine to create a great tool in maintaining a healthy life. When garlic is cut or crushed, enzymes react to produce a powerful agent. Garlic has been used for ages in many countries by many people and therefore FLP delivers it together with thyme all at once, 100 percent natural and ready to consume. We are all familiar with Gin-Seng (or Ginseng) from Chinese medicine, and Ginseng combined with another old people's herb called golden chia (aka Sage) creates miracle combination for our era - Forever Gin-Chia. Combined these two powerful herbs contain vitamins A, B1, B2, C and D, plus thiamine, riboflavin, manganese, calcium, iron, sodium, potassium, copper, magnesium, capsicum and zinc. Natural based Forever Lean™ uses 2 amazing ingredients that can help reduce the body’s absorption of calories from carbohydrates & fat. The first of these ingredients is a unique, fat absorbing fiber derived from the cactus plant, Opuntia ficus-indica, otherwise known as Indian fig, nopal or prickly pear. To maximize the effectiveness of this supplement, however, it is important to remember that you should also incorporate a healthy diet and regular exercise into your overall weight control regimen in order to achieve and maintain your weight goal. A) Purchase as a retail customer - Simply follow this link (FLP Nutrition), follow the instructions and make a purchase online. Purchase is safe and secure using your credit card. B) Purchase wholesale - To be a smart buyer (consumer) you may want to register as a FLP distributor and purchase at Wholesale Price's saving anywhere from 15% to 50%.